Item number 2930/7 from the MOA: University of British Columbia. 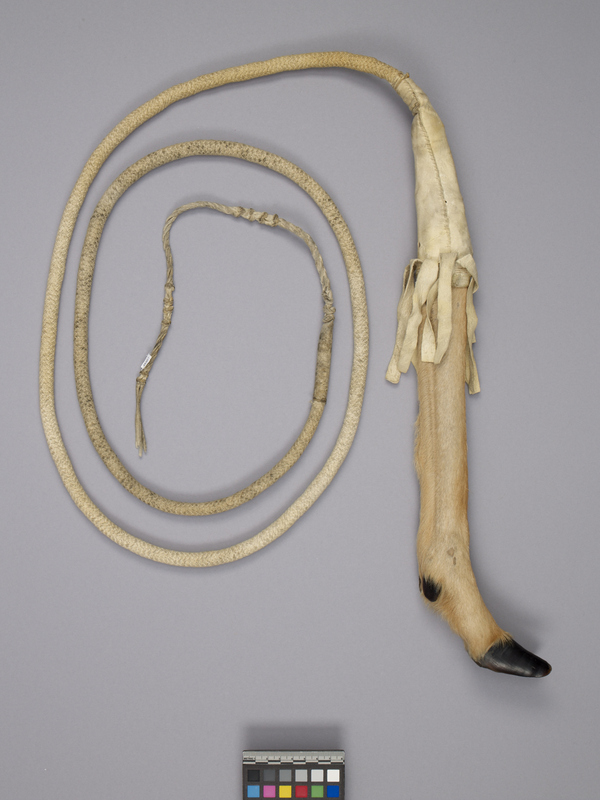 Dog whip made with a caribou lower leg and hoof attached at one end. The leg fits into a tightly sewn hide piece with a fringe cut around it, which is attached to a long thick cord. At the other end of the cord, twined and knotted strips of hide have been attached. 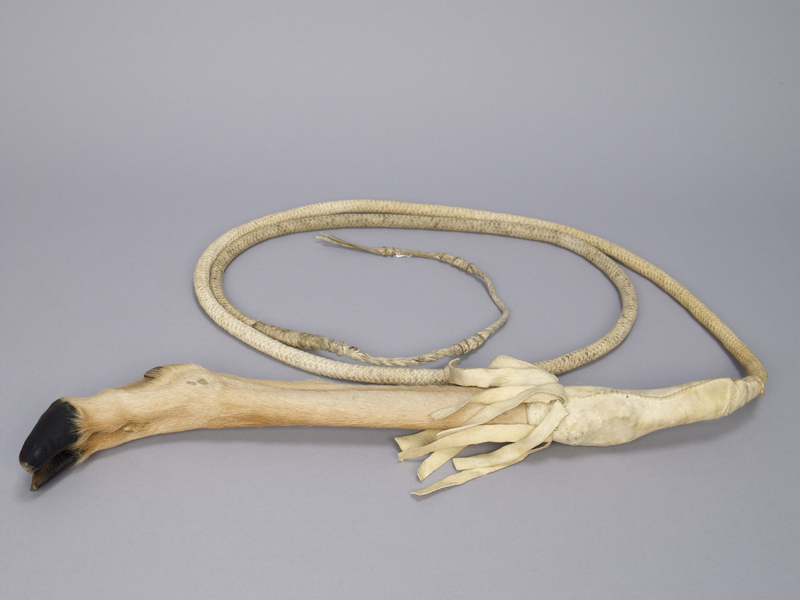 This object is believed to have been either gifted to, or collected by, Joan (Witney) Moore (MDCM) while she was working at the Charles D. Camsell Hospital in Edmonton. Made in Ontario, Canada ? Collected in Edmonton, Alberta, Canada ? Canada: Alberta ?, Edmonton ?